All instructors listed either have been or currently hold Missouri P.O.S.T. certification as firearms instructors and/or NRA Certification. All instructors listed have been a full time commissioned law enforcement officer for a minimum of 5 years. I retired from law enforcement as a Sergeant after 21 years of service and took a position with Anheuser Busch Security where I currently serve as a Corporate Security Advisor and a member of their Emergency Response Team and armorer. During my law enforcement career I obtained an extensive background in firearms training. I served as a range master, firearms instructor, armorer, less than lethal instructor, rifle instructor, defensive tactics instructor and on a SWAT team for 5 years. In addition to the Day Shift Operations Commander for the Lake St. Louis Police Dept, Sgt. Bastean is the owner of Ultimate Defense Firing Range & Training Center. His training staff are all active Law Enforcement Firearms Instructors, many of which are former or active SWAT for the St. Louis Region. Sgt Bastean and staff have trained over 6000 citizens in concealed carry, three of which have used their guns in legal and lawful acts of self defense. Our staff has the experience to make sure you are trained correctly and the expertise to help deal with the aftermath of a lethal force encounter. 12 year veteran of local law enforcement and federal contractor. Certified as: NRA Law Enforcement Handgun Instructor, NRA Law Enforcement Shotgun Instructor, NRA Law Enforcement Patrol Rifle Instructor, Team One Shoot House Instructor, TASER Instructor, OC spray Instructor, ASP BATON Instructor, GLOCK, SIG SAUER, BENELLI ARMORER, Response to Resistance(Use of Force) Policy writer for police agencies. Served in various law enforcement capacities for 20 years, the last 13 as a Deputy Marshal for the Eastern District of Missouri, where I am currently the POST certified department firearms instructor. Our team also trains regularly with the FBI - St. Louis Office. I hold several certifications through TASER, FEMA, Missouri Highway Patrol, and the St. Louis County Municipal Police Academy. I also have done advanced online training in counter-terrorism studies with FEMA, The National Center for Biomedical Research and Training, and the Naval Post-Graduate School. I have been in public service for 10 years now, and have developed Missouri Public Safety Consultants, a training business for civilian students. Things are going great, feel free to check out the website www.mpsctraining.com Anything I can do to help anyone let me know. Im located in the northeast cor! ner of Audrain County and serve the entire corner of the State. some one wants training. Charge is $75.00 per student. I hold a class in Piedmont, Mo. once a month. I operate with small class sizes so there is more one on one interaction. I also do specialized class geared just for female CCW seekers. Those classes are just for women. I am located in Wright City, Missouri. I am Greg Billingsley from Marshall, MO. I have been a member of the Law Enforcement Community since 1980. Firearms enthusiast, hunter, reloader, shooter, collector and trainer, describes my involvement with this pursuit. I have worked as a Patrolman, Detective, Shift Sergeant, Assistant Chief, Ch! ief Juvenile Officer, Bail Bondsman, and Sheriff's Deputy. I am P.O.S.T. 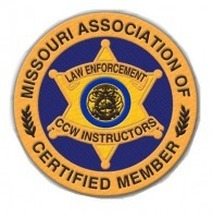 certified to teach over seventy-five approved courses by the Missouri Department of Public Safety, including several firearms courses for POST credit. I instruct at the Saline County Justice Center, Training Institute and with Creative Management Consulting of Marshall, Missouri. Experience in law enforcement and the criminal justice system since 1966: St. Louis Metropolitan Police Officer and Homicide Detective; U.S. Army MP; Chief Legal Investigator for the St. Louis Medical Examiner; Marshall, Mo. Chief of Police over 24 years, retiring in 2008); Executive Director of The Saline County Criminal Justice Training Center (Saline County Sheriff's Dept. ); CEO of Creative Management Consultants, since 1984; and Director/Owner of Deer Creek Law Enforcement Training Center. I've taught numerous firearms safety instructor and firearms safety courses in Missouri since 2004. If you are interested in attending one of my courses, or would like a training materials package that includes everything to teach the course, feel free to contact me. (Deer Creek Law Enforcement Training Center). I am the Chief of Police for La Monte, MO and have been for over 5 years and have been teaching CCW for over a year and a half now. The Class is $75 if you provide your own weapons and ammo and $100 if you wish us to provide them. Jeff is the owner of JR Marketing/The GunShop and is currently the Assistant Chief of Police for the Sunrise Beach Police Department. He has seventeen (17) years of Law Enforcement experience. He is a member of the Missouri Deputy Sheriffs Association and is a NRA Certified Pistol Firearms Instructor. We charge $100.00 for the CCW class, this includes a full course manual and Gun Use (Students will need to purchase 150 rounds of 22 ammo from us if they use our guns. We also provide lunch and to all students. Jim is currently the Assistant Chief of Police for the Versailles Police Department, has twenty-five (25) years of Law Enforcement experience. He is a NRA Certified Police Firearms Instructor and a Missouri Department of Public Safety Specialist Instructor. Our classes are held on a Sunday about every 6 weeks and are $100.00. This includes the mandated 8 hours of classroom/range time, a full course manual, a revolver and a semi-auto gun for range use and lunch for all students. (Students will need to purchase 150 rounds of 22 ammo from us if they use our guns.) Drinks can be purchased at the range for a small fee. I have been in law enforcement since 1972, starting my career with the US Army Military Police Corp. I have served with the Marshall, MO Police Department since 1984, and am the Assistant Chief of Police. I hold a Generalist Instructor license issued by the Missouri Department of Public Safety. I am the owner of Public Safety Training Specialists, located in Marshall, MO, and I am an instructor for the Missouri Sheriff's Association Training Academy. Please feel free to drop by our website at www.publicsafetytrainingspecialists.com for information on our P.O.S.T.-approved law enforcement training courses. My name is Jens Barclay and I am a Detective with the Nevada MO police Department. I have been with Nevada for 9 years. Previous to Nevada I worked for the Vernon County Sheriff's Department for 10 years. I also hold a Reserve Deputy Sheriff commission with the Barton County Sheriff's Department. I am a Charter Life Member of the Missouri Deputy Sheriff's Association. I am the Firearms Instructor for Nevada PD and Barton Co SO. I received my Firearms Instructor Certification from the Missouri State Highway Patrol in 1996. I am a Certified Instructor in Tactical Weapons, Taser, Baton and OC. I am an FBI Certified Sniper. I own Bushwhacker Training Academy in Nevada and conduct Concealed Weapons Safety Training and several Law Enforcement training classes. I normally conduct the CCW classes on Saturday from 8am to 5pm. but other class times are available with a group of five or more. The cost of the class is $100 for a single or $150 for a couple. Discounts are available for five or more students. I will travel to your area if you have a range and classroom for any group of five or more. I charge $25 a credit hour for Law Enforcement training for up to four officers. I offer one hour Firearms Training, one hour Police Shotgun, one hour Police Rifle, two hour Patrol rifle, four hour Tactical Shotgun, four hour Tactical Weapons, four hour Expandable and Straight Baton, six hour Basic Taser, two hour Taser recert, four hour Basic OC and one hour OC recert. All Law Enforcement training is POST approved In-Service Training. Please call 417-321-1451 for more information. I am a Law Enforcement and NRA instructor. I served in Law Enforcement over 15 years and was POST Certified specalist Instructor. I subscribed to this site because I believe in what they are doing. You get the best possible instruction from instructors that have been in situations and had extensive training such as the Law Enforcement instructors on this site. I am not knocking any qualified instructor however my belief is that the best teaching come from those that have"been there done that." Most non Law Enforcement instructors will not cover what happens when you draw a weapon on some one, such as Flight, Freeze or Test. What will I experience if a draw a weapon on someone? Things like tunnel vision, audio exclusion, loss of fine motor skills. Just a few things you get extra with L.E. Instructors. Please feel free to visit my web site at http://moccwus.com and send questions you might have about concealed carry training and learn more about our class. Blue Osprey Security Solutions – Training llc (BOSS-T) is dedicated to providing the highest quality tactical, security related training available to: business organizations, law enforcement agencies, private security organizations and citizens.Darrel is a retired U.S. Army Special Forces Sergeant Major, former Narcotics Task Force Enforcement Director, FBI trained Police Sniper, SWAT Team Leader, Police Sniper Team Leader, NRA and Police certified Firearms Instructor. While serving in the U.S. military, Darrel conducted combat operations and training missions throughout the world. Darrel served as a military adviser to multiple allied militaries and police agencies in Basic and Advanced Marksmanship, Close Quarter Battle (CQB), Physical Security and Counter Terrorism / Counter Insurgency Operations. Contact me at boss-tllc55@yahoo.com or www.boss-tllc.com for further information. Training today for a secure future. Retired POST CERTIFIED POLICE OFFICER of 20 years. Certified NRA Pistol Instructor and Range Safety Officer. Teaching Basic Pistol, First Steps,Personal Protection in the Home and CCW courses. MISSOURI SAFE CARRY Buffalo MO. Served in law enforcement since 1998.